A top House Democrat is calling for an investigation into Intelligence Committee Chair Devin Nunes after he told the White House about new information that President Donald Trump and his associates might have been caught up in government surveillance. 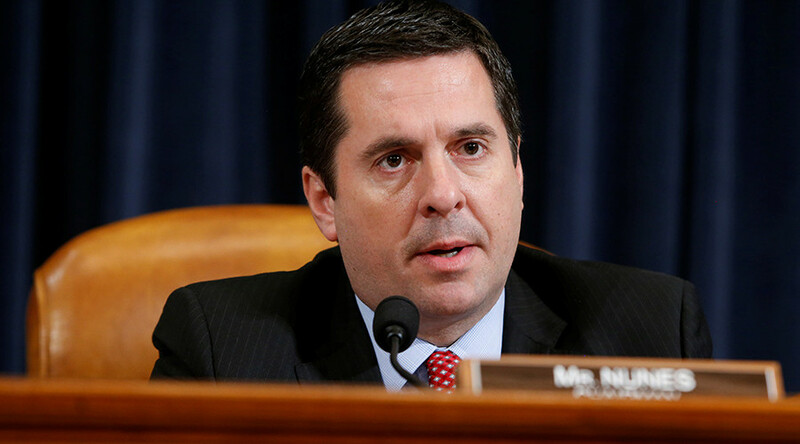 Nunes, a California Republican, is heading the House panel’s investigation into whether there was Russian interference in the 2016 election and possible contacts between Trump associates and the Russian government. It was during the House Intelligence Committee’s first public hearing on Monday that it was revealed by the FBI that it was conducting its own investigation into the Trump campaign’s connections with Russia. Nunes said he received new intelligence after that hearing that revealed that Trump’s transition associates, and perhaps Trump himself, had their communications picked up through legal surveillance during November, December and January. On Thursday, Nunes privately apologized to his Democratic colleagues on the committee, saying he regretted informing Trump and the media of the surveillance information without updating his panel first, but defended his position. On Wednesday, Nunes told reporters he had learned from a source that the US intelligence community incidentally collected information on members of Trump’s transition team and then “widely disseminated” the information internally. He also said he was going to share the information with the Trump administration. “I want to be clear – none of this surveillance was related to Russia or the investigation of Russian activities or the Trump team,” he added, noting that he believed the information was obtained legally. Nunes served on Trump’s transition team, and critics questioned whether he was coordinating with the White House to give the president cover for his explosive claims that then-President Barack Obama wiretapped Trump’s New York skyscraper, Trump Tower. Nunes’ disclosure was also a topic of discussion during the daily White House press briefing on Thursday about whether Nunes should have made the disclosure. “There seems to be this obsession with the process, you know, how did he get here, when did he go, what was the reaction. At some point there should be a concern about the substance. That’s a very serious revelation that he’s made about what happened during the  election with respect to our side,” White House press secretary Sean Spicer said. Nunes’ announcement blindsided and infuriated both Democrats and Republicans who had not seen the intelligence in question. Rep. Adam Schiff (D-California), the ranking member on the House Intelligence Committee, said he had no idea Nunes would publicly discuss surveillance of Trump’s team without consulting the panel first. “A credible investigation cannot be conducted this way,” Schiff said.